While Hulk has yet to show up once in the trailers for next month’s Avengers: Endgame, the various merchandise and promo art for the film has made it very clear that Bruce Banner’s big, green alter ego will be making a comeback. 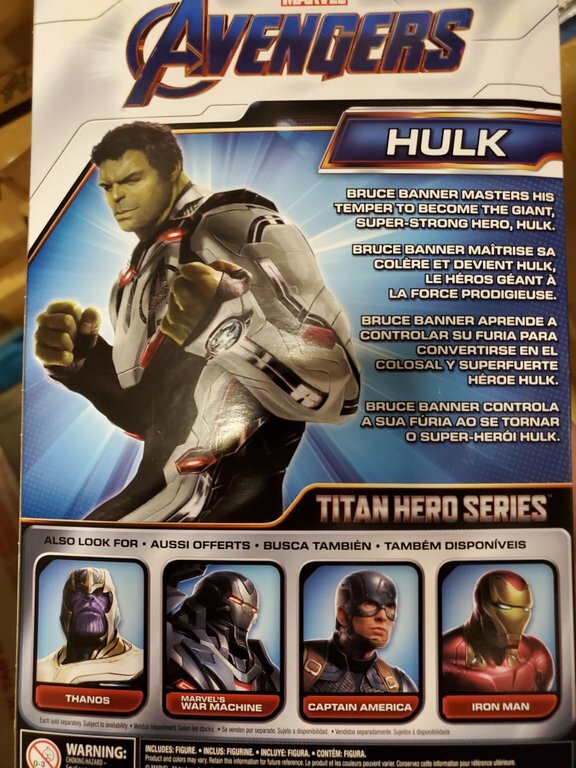 And thanks to a recent toy leak, it seems that we may have one more clue for how Bruce will overcome his transformation difficulties. Since the image emerged on Reddit, fans have been speculating on what it could mean for Bruce to “master his temper” in the upcoming film. Granted, it’s very possible that this is just a general statement about the character. After all, couldn’t you argue that the hero had mastered his temper at least as far back as 2012’s The Avengers, when he was practically able to transform at will? Nonetheless, some fans are reading into this text as a tease of Bruce learning to merge his two sides into the Professor Hulk persona, and for all we know, they may have a point. At the very least, this could be a fitting way of resolving the character’s inner conflict before he ends his run in the MCU. And to the theory’s credit, a promo image released earlier this year certainly suggested that Hulk could be looking a little more human for his next movie. Either way, we’ll find out if and how Bruce manages to make peace with his other half when Avengers: Endgame hits theaters on April 26th.